According to Vodafone NZ's CEO, the building has a total capacity of 900, while current employee strength in the city stands around 350. The initiative to create a start-up incubator in Christchurch as part of its new office is all about creating an environment to support innovation, according to Vodafone NZ. Vodafone’s Xone is being created in partnership with Callaghan Innovation and the city of Christchurch, and will host around ten to 20 start-ups. The xone itself will be housed in Vodafone’s new office headquarters planned to be opened in the Innovation Precinct of the city in early 2016. “We will create an environment where we have a shared facility in the building with all the things that you need in a building such as reception services, office services, and all the technology. And we will shrink wrap down a copy of our network, if you like, as a playpen for people to use to build fibre and mobile network solutions and so that’s the concept,” said Stanners. “I guess the parameters would be working on apps that work in our space, mobility and fibre. That would be the envelope. But then what type of things within that would really be a factor of what innovators are doing. I know the San Francisco and London hubs there host quite a lot of work done in security, which is a big area of interest around the world,” he added. Stanners also did not rule out the possibility of other xones in New Zealand, though pointing out that there are already well-established incubators in both Auckland and Wellington. 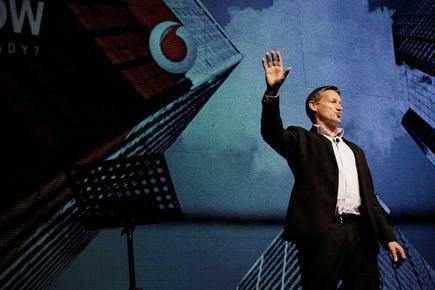 With around 350 staff in Christchurch, the city remains an important part of Vodafone’s employee and service provision bases in NZ. “We would look to hire in co-relation with the establishment of the new office. When you look at our business, we have a strong presence in Auckland and Wellington. You want to be in balance of where your customers are and where your employee markets are. Christchurch is a good tech employee market. We have 350 now and we are looking to grow that once we get the new building. The building has a total capacity of 900, and 600 is the committment we have designed for in terms of from the starting of 2016 and a few years after,” said Stanners. According to Stanners, one of the biggest challenges facing Vodafone NZ is getting customers to expect less of copper and prepare more for fibre. “All our investment is going into building fibre and 4G technology. Fibre is our current line of product for broadband and copper is the end of life product. There is a whole evolution for us as an industry, and consumers and businesses alike to go through to fully appreciate the transition in the next few years. I think you will see it is a bit of bumpy space,” said Stanners. FutureNow is an annual conference that Vodafone NZ conducts to highlight changes in the company and the way businesses can tap into new technologies. This year the show was conducted in Wellington and Christchurch, before touching down on Auckland.